There are 5 Memory Care Facilities in the Columbia area, with 1 in Columbia and 4 nearby. To help you with your search, browse the 4 reviews below for memory care facilities in Columbia. On average, consumers rate memory care in Columbia 4.7 out of 5 stars. Better rated regions include Saint Louis with an average rating of 4.8 out of 5 stars. Columbia is a small, family-friendly commuter suburb located in the southern reaches of the St. Louis metro area near the Mississippi River. Just under 16.5 percent of Columbia's 10,000 people are seniors aged 65 and over, many of them living with Alzheimer's disease or another form of dementia. For seniors whose impairment has progressed to the point where they need full-time supervision and care, Columbia is home to eight memory care facilities in the city and neighboring Swansea. 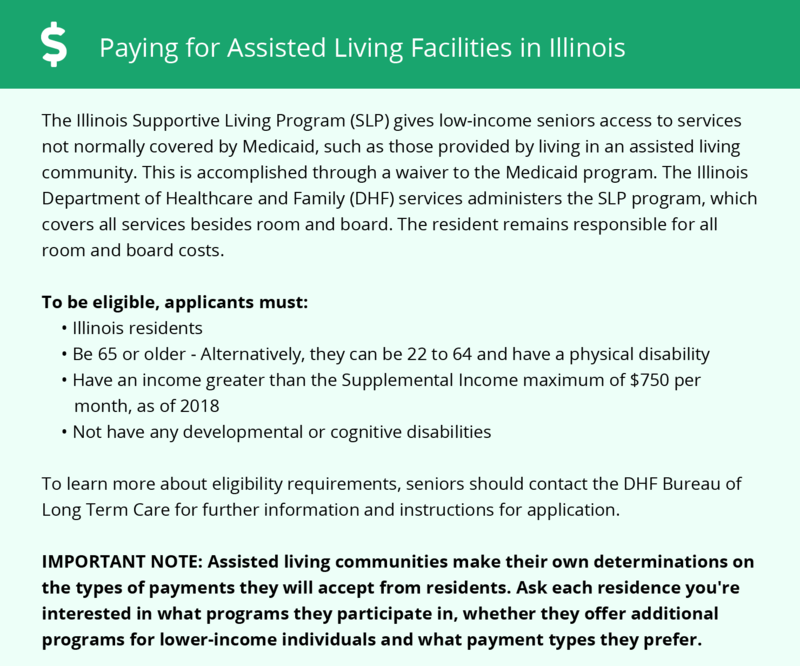 Residential long-term care facilities in Columbia are regulated by the Illinois Department of Public Health Division of Long-Term Care, which generally inspects facilities once a year. Columbia shares its climate with nearby Waterloo, where mild summers and chilly winters prevail. August highs average 87 degrees, while December lows average 23 degrees. Columbia gets about 43 inches of rain a year along with 11 inches of snow. The cost of living in Columbia is close to the national average in most categories. Overall, expenses are just 2 percent higher than the national average, while healthcare in the Columbia area costs 4 percent more than it does nationwide. Families who have loved ones living in a memory care facility should expect to pay about the same as any average U.S. city. Crime is low in Columbia with rates of both violent and property crime in the city between one-fifth and one-tenth of the national average. Theft incidents in Columbia occur at roughly one-third the national rate, while violent crime is rare. The Columbia area is home to world-class medical facilities, including those specializing in brain health and dementia care such as Memorial Hospital Belleville and Touchette Regional Hospital, in the event of medical emergencies or illness. Memory Care costs in Columbia start around $0 per month on average, while the nationwide average cost of memory care is $4,799 per month. To see a list of free memory care resources in Columbia, please visit our Assisted Living in Illinois page. Columbia-area assisted living communities must adhere to the comprehensive set of state laws and regulations that all assisted living communities in Illinois are required to follow. Visit our Memory Care in Illinois page for more information about these laws.